Cannon, lead shot, pewter plates, gold dust, even a contentious pirate flag all readily come to mind when thinking of Blackbeard’s ship Queen Anne’s Revenge. Few, however, might consider the tool assemblage that was carried onboard, particularly an oddly-shaped, somewhat innocuous tool found on the site: a mechanical jack. Like their modern hydraulic counterparts, 17th and 18th century jacks were designed to lift or pry apart heavy objects. 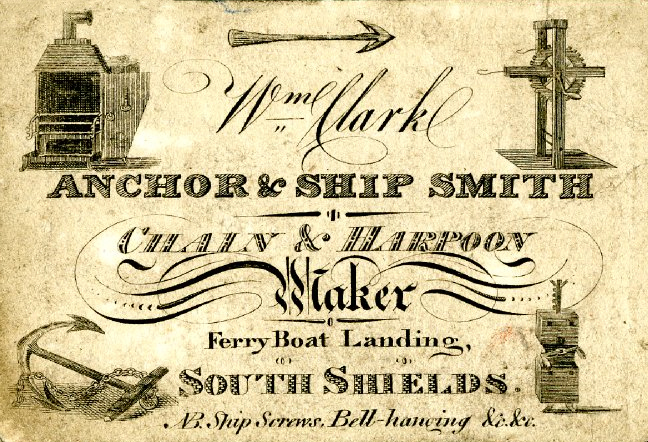 Described in mechanical and shipbuilding treatises, depicted on trade cards advertising the services and workshops of various smiths and ironmongers, and found in association with 19th century Conestoga wagons, jacks were ubiquitous tools. As generic lifting devices, they likely served a variety of utilitarian purposes, from moving cargo to lifting the wheels of gun carriages. To do this, mechanical jacks take advantage of some basic physics to lift and lower a weight. One of the main features of a jack is its slotted, iron bar, or rack, on which a weight is placed. This bar passes through the center of a gearbox containing gears that mesh with and drive the rack. An s-shaped handle positioned over the gearbox, called a crank, operates those gears when turned. Moving the gears raises and lowers the rack. Metal plates bolted together with iron fasteners contained and protected this gearing mechanism along with a wooden housing that has not survived three hundred years underwater. Even though jacks were utilitarian tools, some comparative examples have been found with a variety of markings on them including the year, initials, and even decorative elements made using a punch and chisel. Historical records have provided researchers with a substantial amount of information on these tools. 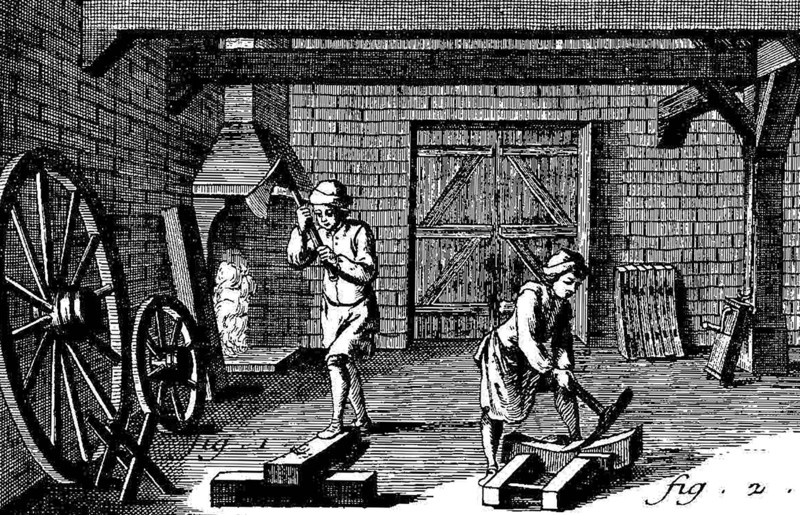 Diderot’s Encyclopedia depicts a jack in a wheelwright’s workshop, underscoring that jacks were not constrained to one specific trade but were versatile tools used by variety of tradesmen. Two early 18th century French sources on naval architecture and shipbuilding support this, attesting that these tools were so useful in ship construction that a well-equipped workshop might have twenty to twenty-five jacks. While almost certainly an exaggeration, such a statement reiterates their importance and potentially explains their recovery from Queen Anne’s Revenge: if jacks were necessary for ship building, they were also likely necessary for ship repair. Historical records also name two carpenters who were onboard when Blackbeard captured the ship: Esprit Perrin, a master carpenter from Pellerin, and René Duval, from Nantes. Whether the jacks were theirs or were obtained later, taken from another prize captured by Blackbeard, cannot be determined. The jack recovered from Queen Anne’s Revenge, like all the artifacts recovered from the shipwreck, is heavily concreted and its conservation, begun this year, will take several more years to complete. Hopefully by then we will know more about this unique tool. -Brunel, Pierre. Dictionaire de Marine Contenant Les Termes De La Navigation et de L’architecture Navale. Amsterdam: 1702. -Ducoin, Jacques. Barbe-Noire: Et le négrier La Concorde. Grenoble, France: Éditions Glénat, 2010. -Gillispie, Charles C. ed. A Diderot Pictorial Encyclopedia of Trades and Industry: Manufacturing and the Technical Arts in Plates Selected from “L’Encyclopédia, ou Dictionnaire Raisonné des Sciences, des Arts et des Métiers” of Denis Diderot. Volume Two. New York, NY: Dover Publications, Inc., 1993. -Horsley, J.E. Tools of the Maritime Trades. Newton Abbot, England: David & Charles, 1978. -Mercer, H.C. Ancient Carpenters’ Tools: Illustrated and Explained, Together with the Implements of the Lumberman, Joiner, and Cabinet-Maker in Use in the Eighteenth Century. Mineola, NY: Dover Publications, Inc, 2000. -Moore, David, and Wendy Welsh. "Preliminary Report Relating to Hand-Screws or Mechanical Jacks Recovered from Queen Anne’s Revenge." Preliminary report on file at NCDNCR QAR Lab, Greenville, NC: 2012. -Mortier, David. L’Art de Batir les Vaisseaux, et d’en Perfectionner la Construction; de les Garnir de Leurs Apparaux, les Mettre en Funin, les Manoeuvrer, &c. Amsterdam: 1719. -Shumway, G. and H.C. Frey. Conestoga Wagon 1750-1850: Freight Carrier for 100 Years of America’s Westward Expansion. Third Edition. York, PA: George Shumway, Publisher, 1968. -Plate 465. The Wheelwright I, from A Diderot Pictorial Encyclopedia of Trades and Industry: Manufacturing and the Technical Arts in Plates Selected from “L’Encyclopédia, ou Dictionnaire Raisonné des Sciences, des Arts et des Métiers” of Denis Diderot. -Concreted jack from the Queen Anne’s Revenge shipwreck site, by NC Department of Natural and Cultural Resources. -In-progress jack from the Queen Anne’s Revenge shipwreck site, by NC Department of Natural and Cultural Resources.